Thor is a thunderbolt-wielding Norse god. But add an ‘a’ and you have the feminine form, and a very different vibe. Thanks to Bertram Bergamot for suggesting Thora as our Baby Name of the Day. Maybe Thora isn’t the most obvious pick for a daughter in 2014. Names starting with Th are not exactly in vogue. And Thora has always been rare. 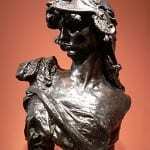 Back in the 1890s and early 1900s she barely made it into the US Top 1000. In 2012, just 21 girls received the name. But 21 is actually an increase – Thora averaged fewer than ten girls given the name per year for the last few decades. Another factor in her favor? 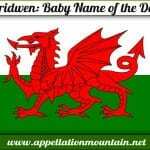 The rise of -ora names, discussed in Nameberry’s Floradora Girls post. There’s Downton’s Cora and the wildly popular Nora. So maybe Thora has a chance. She’s a forceful choice for a daughter. Thor means thunder, and he’s also in charge of tough guy things like strength and war. 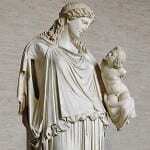 While there is no goddess by the name, she appears in Norse myth and folklore. Thora Borgarhjort was a lovely young woman given a pet snake. When the snake gets out of control, a hero arrives to slay it. They marry and live happily – for a while. While we’re in Scandinavia, let’s pause for a note on pronunciation. She’s pronounced without the ‘h’ – Tora. But in English, you’ll almost inevitably hear the thunk-thud-think Thora instead. Part of that credit goes to young actress Thora Birch. She’s been acting since she was quite young. Her breakthrough role was in 1999’s American Beauty as Jane, the damaged daughter of Lester and Carolyn. She’s also known for her role as Enid in 2001’s Ghost World, followed by a string of indie flicks. She has a brother named Bolt, so presumably her parents were aware of the name’s power. It was worn by a daughter of King Magnus III of Norway, born around 1100. Queen Victoria’s granddaughter, Princess Helena Victoria of Schleswig-Holstein was known as Thora to her family. British actress Thora Hird, whose career began just weeks after her 1911 birth and concluded not long before her death at the age of 91. The BAFTA-winning actress was best known for her work on television comedy, but she did a little bit of everything over the years. One of LM Montgomery’s books aimed at an adult audience was 1931’s A Tangled Web. It’s a story of two families, including a character called Thora. That’s not much use. Maybe some dismiss Thora because she shares her first syllable with thorax and thorn. But when I hear the name, I get a very different vibe. I think more vintage black-and-white Theda Bara, born Theodosia, known as a vampy, glam femme fatale of the silent film era. I think Theda and Thora could both be contracted forms of Theodora. They share a certain vintage shimmer. If Thora seems tough for a small child to say, Tori might be a nickname option. But only if there’s a need. Overall, I suspect that Thora would make a solid choice for a name that fits in with Stella and Ava, but remains distinctively different, too. I love Thora, I would totally name my daughter that. Unique without sounding made-up, or like a mash up name. On another note I really like Theodore. Theo and Thora? Too cutesy-wootsey? I love Thora! It’s sweet and vintage-y with just the right edge from the association with Thor. Total guilty pleasure of mine! I adore Theodora and Isidora, and have a guilty pleasure love for Izora, but Thora is just aiight. Flora and Zora are the 2-syllable ones of this family with my heart. I do, however, like Thora more than Stella or Ava. Theda reminds me of Twyla, I like both. I think Thora is a sweet yet strong name that is right on-trend with the other “ora” names. The Thora Birch connection is a little tricky as she and her father do not have the best reputation, but I don’t think it’s enough to tarnish the name. 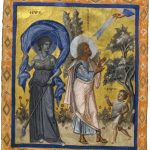 Thora as a contracted form of Theodora is also fantastic! 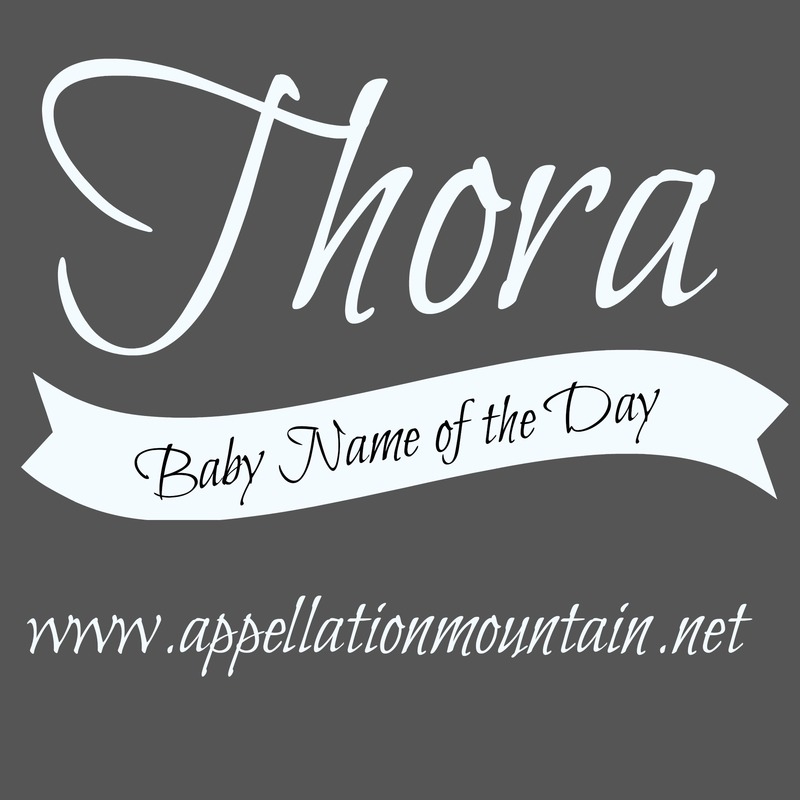 Thora is a lovely name! I always think of the quirky children’s books by Gillian Johnson (the ‘Thora’ series) – it gives the name a delightfully fun flavour!